Stories of ‘intelligent artifacts’ and ‘bases’ on the far side of the moon have been lurking in the shadows for decades since the Apollo years. A number of independent lunar researchers have been laboriously going through countless NASA photographs and, to some, it appears that the long wait for verification of these rumors just might getting closer. 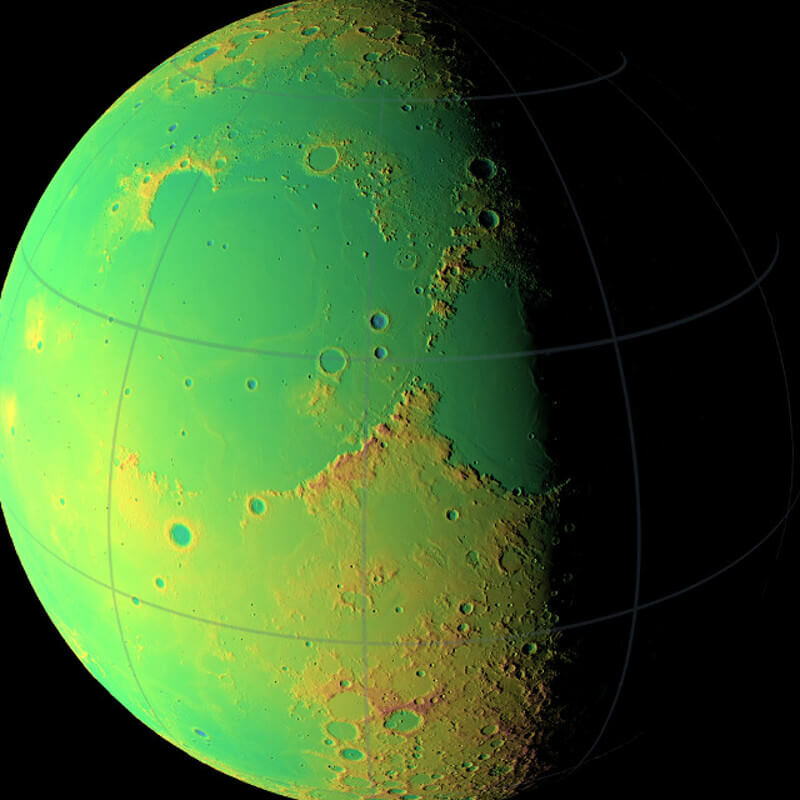 If that turns out to be the case, confirmation might come not from an official NASA revelation or U.S. Military disclosure but from the independent study of striking anomalies in the Lobachevsky Crater, for example, as imaged by Apollo 16 and by the U.S. Navy’s recent Clementine moon mapping mission. g anomalies in the Lobachevsky Crater as imaged by Apollo 16 and by the U.S. Navy’s recent Clementine moon mapping mission. American researcher Steve Wingate was the first person to bring world attention to the anomaly in the far side Lobachevsky Crater by posting the old Apollo 16 photograph and several new views from the recent Clementine mapping mission to the Lunascan Mailing List. Even more recently, eminent German geologist and science writer Dr. Johannes Fiebag confirmed Wingate’s discovery of an “unusual and possibly artificial structure” on the mysterious far side of the moon as shown in the 25 year old NASA Apollo 16 orbital photograph, AS16/10075825. Dr. Fiebag, highly-respected, is the author of two recent books: “Mars – Planet Des Lebens”, Econ-Publisher, Düsseldorf 1996; and “Mission Pathfinder”, (Econ Publisher, Düsseldorf 1997). Upon examination of the photograph, it was apparent that both Steve Wingate and then Dr. Fiebag’s claims about the Apollo 16 photograph of the Lobachevsky Crater merited immediate closer examination. The picture was sent to graphics analyst Liz Edwards at IWonder Productions for enhancement and further analysis. Her work quickly underscored the fact that there are indeed some bizarre anomalies in the photograph, in fact there are several. Item “A”, the ridge-top on the left, draws immediate attention because of its stunning line-up of round protuberances. These appear to be an integral part of the white colored area or cap on top of the ridge. These black, holed objects are lined-up in such a way as to provoke images of large ‘ventilation’ or exhaust stacks as might be seen on an ocean liner or large industrial plant…only much larger. These objects seem anything but a trick of light and shadow. A spectacular formation. Evidence of volcanism? Part of a major project or operation? What is it? Item “B” presents what appears to be a dazzling image rising straight up from the lunar surface many hundreds of feet into the void of space. Are we witnessing this tower-like object being hit by the sun’s rays and appearing to be thereby illuminated….as one would expect a piece of crystal to do if struck by the sun in this fashion? Or, is the entire ‘tower’ simply some type of photographic anomaly? If real, it is a stunning artifact…a crystal lunar obelisk? A construct of ET technology somehow linked to the bizarre ridge-top ‘vent’ pipes above on the crater rim? A part of a mining or excavation operation directly related to the dark, shadowed surface depression next to it? Item “D” is very much its own enigma. Sitting well away from the other primary anomalies, this small item puts out a distinct shadow and shape and has further been enhanced by Ms. Edwards as displayed in the small inset in the lower right corner of the picture. Again, what do you think? ?